Did someone say healthy pizza? Yeah, that would be us. It may seem impossible that the words healthy and pizza can go together, but today, we’re here to blow your minds and say in fact, they can be. If the thought of making a homemade pizza—dough rolling included—seems far too tedious for you, as it does us, this three ingredient pizza base is going to make your day. The dough recipe is easy, and only requires throwing together some good things in a bowl, letting them sit for an hour then baking them for 5 minutes. Seems pretty easy, eh? Since there’s probably a whole lot of head scratching happening right now, let’s go over what this healthy pizza dish is. It’s called Socca (soh-ka)1 . The key ingredient is chickpea flour and the original recipe trends towards more of a crepe/pancake texture (it originated in France after all). 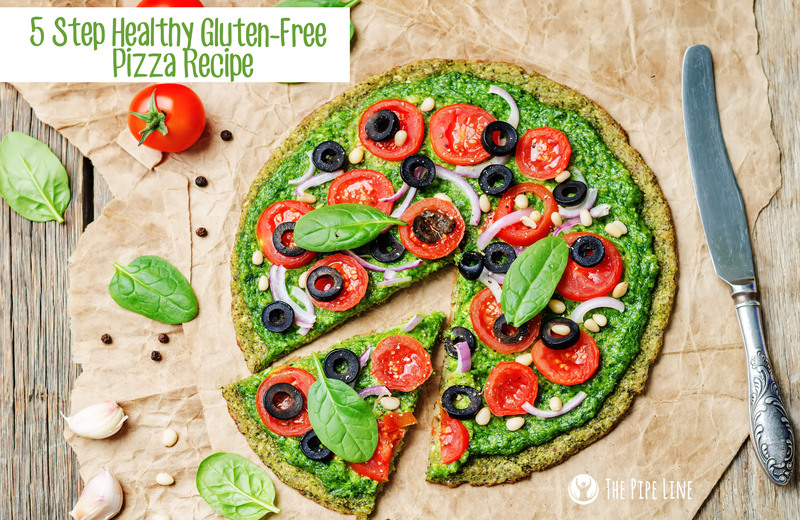 Recently, the wellness lovers in this universe found a way to thicken the base, giving way to a pizza-like consistency that has everyone swooning. When it gets baked, the result is a product that’s crispy on the edges, chewy in the middle . Plus, since chickpeas are healthier than wheat, this gluten-free dough is not only delicious, but nutritious! Is your mouthwatering, yet? Okay, let’s get to the recipe then. 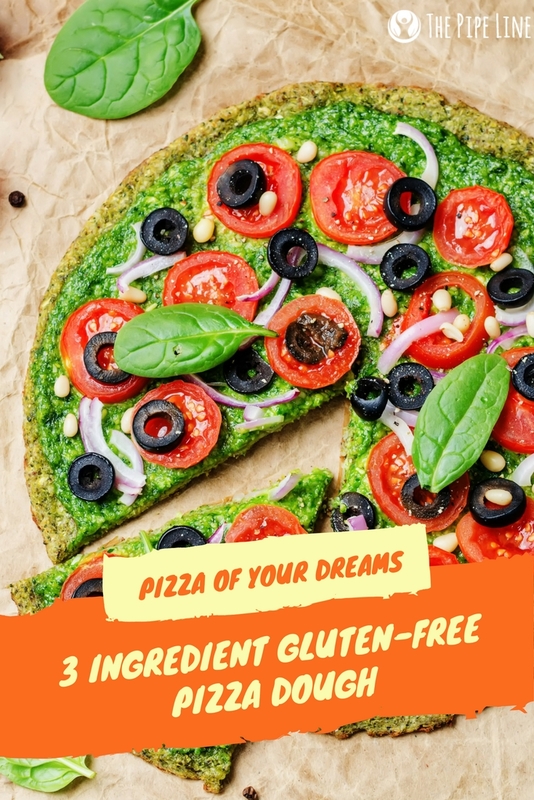 This healthy dough made from chickpea flour and topped with homemade pesto is sure to make the summer's "must eat" list. + First combine chickpea flour, 3 tbsp olive oil, ½ tsp salt and 1 cup warm water in a bowl. Let sit one hour. + While this is sitting, turn the oven to broil and heat your 10” cast iron skillet inside to warm up. + Coat the bottom with the 1 tbsp olive oil left. Then pour in the batter. + Let broil 3-5 minutes. +It should be finished at this point and you can add your toppings! In a blender, mix 4 cups fresh basil, 1/2 cup olive oil, 1/3 cup Pine Nuts (Pignolias) and 2 cloves of garlic. Let a paste-like texture form. Then add in the 1/4 cup Parmesan cheese and 1 tsp salt. Continue with blending, to be one texture/color.